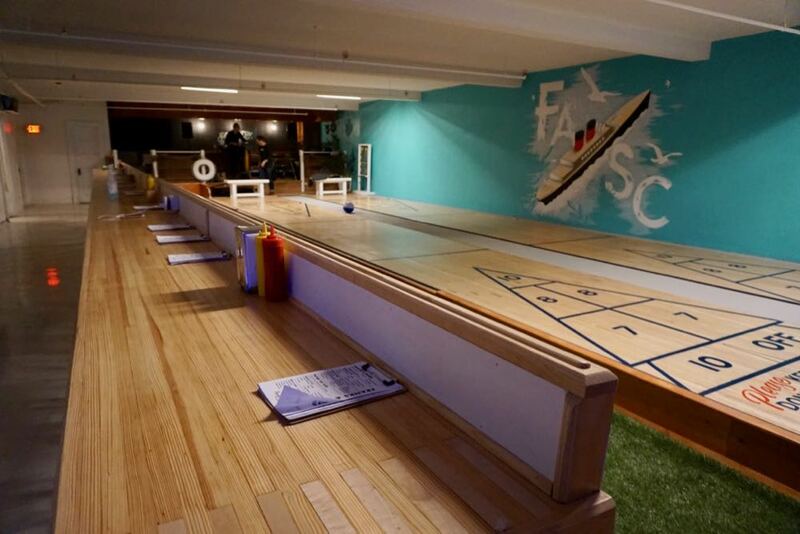 The Franklin Alley Social Club -- a new bar/shuffleboard/bocce ball/arcade spot under Takk House in Troy -- opened this past weekend. There are a handful of photos at the top in large format -- click or scroll all the way up. 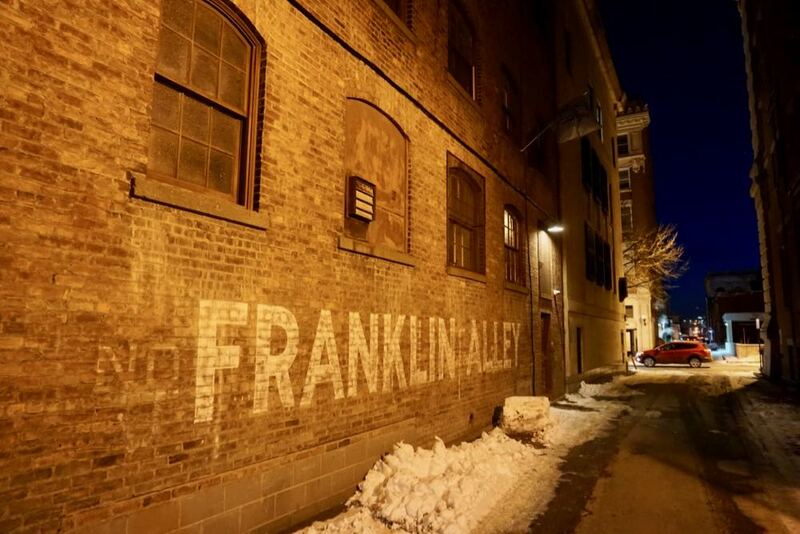 It's the section of the Franklin Street alley just off State Street behind the Troy Music Hall. Look for the flag -- the door is below it. 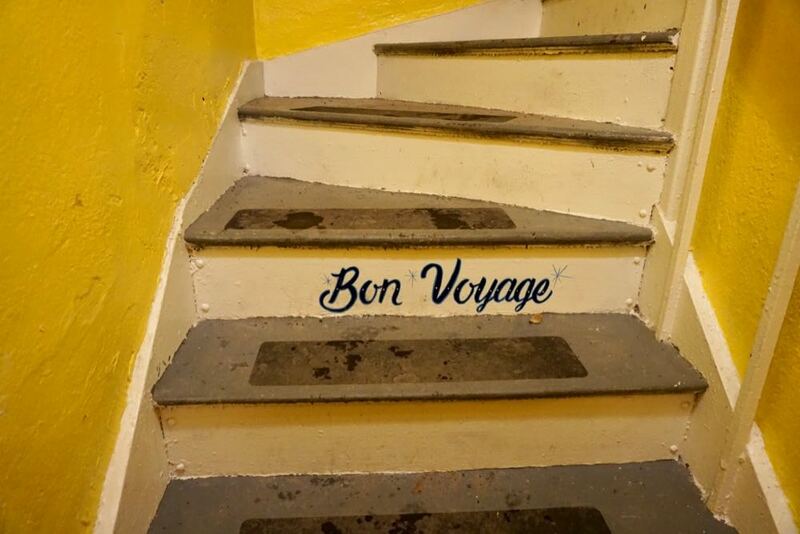 "We're kind of toying with the idea of always being on vacation when you're down here," said Frank Sicari, the owner of Takk House along with his wife, Heidi. 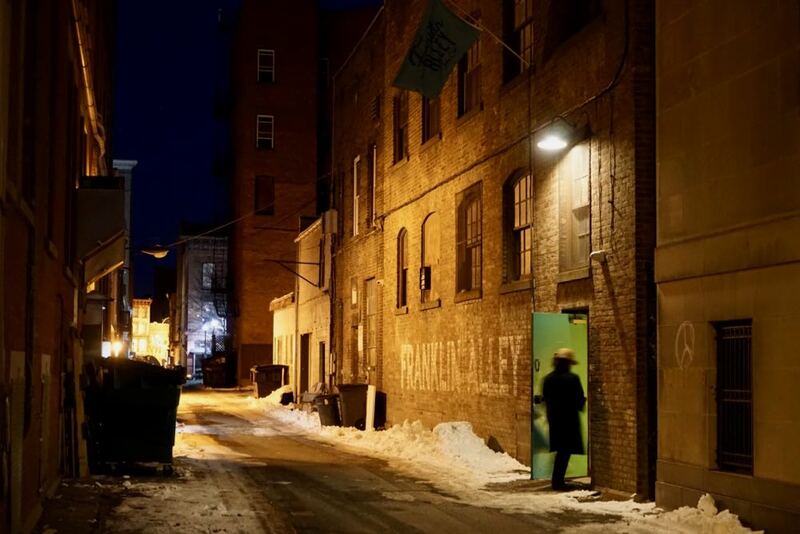 "We just want it to be warm, fun, bright -- just very different from Upstate New York in the winter, for sure." The couple has had their eye on doing something with the space since they bought the building, an old Knights of Columbus hall, back in 2014. 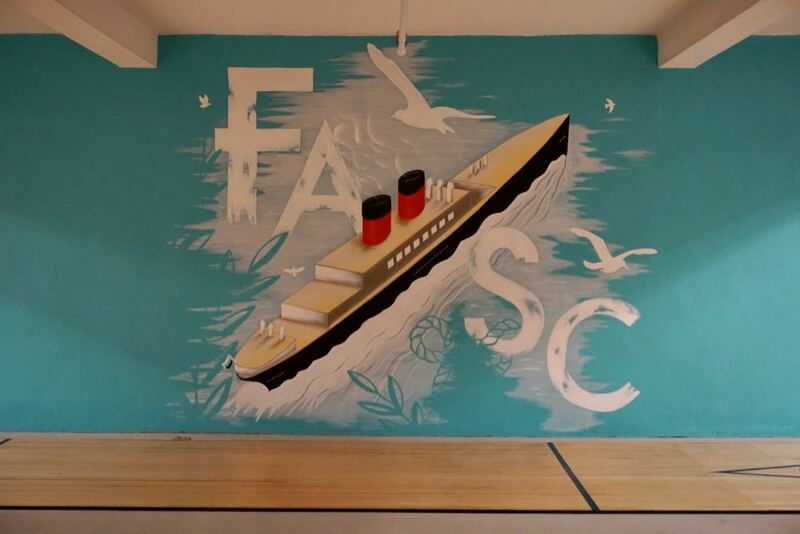 Frank Sicari said they pieced together the concept over time, drawing inspiration from places such as a shuffleboard club in Brooklyn and their honeymoon in the Caribbean. 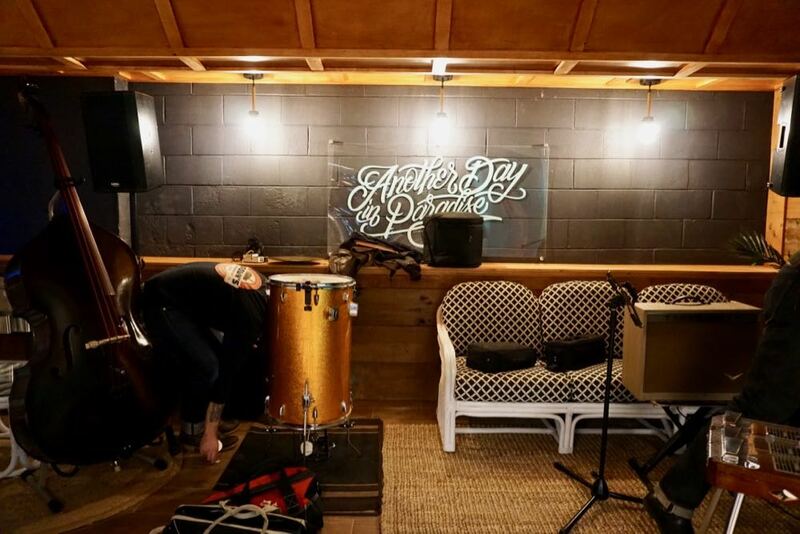 "As we did each part, we worked on the next part and got ideas for that," he said of the renovation of the space over the past year. 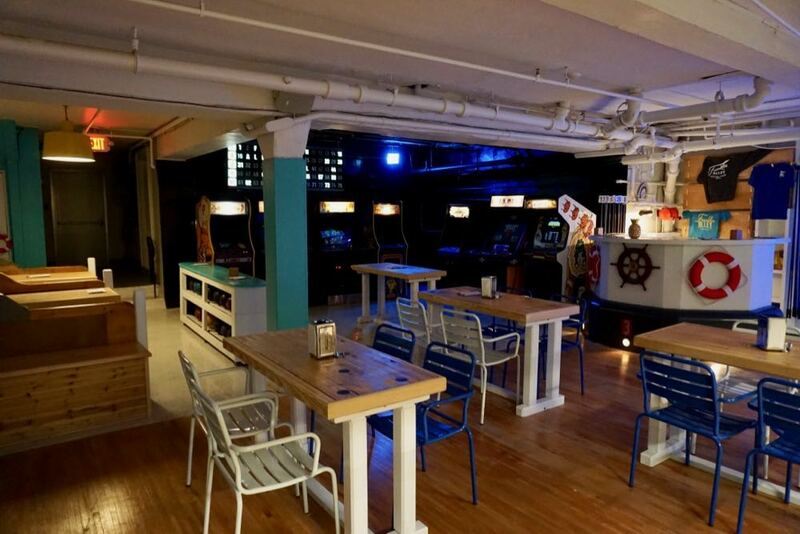 The Franklin Alley Social Club space now includes two shuffleboard lanes, a bocce ball court, a bar, an arcade with old-school games such as Galaga, board games, and a small stage area. 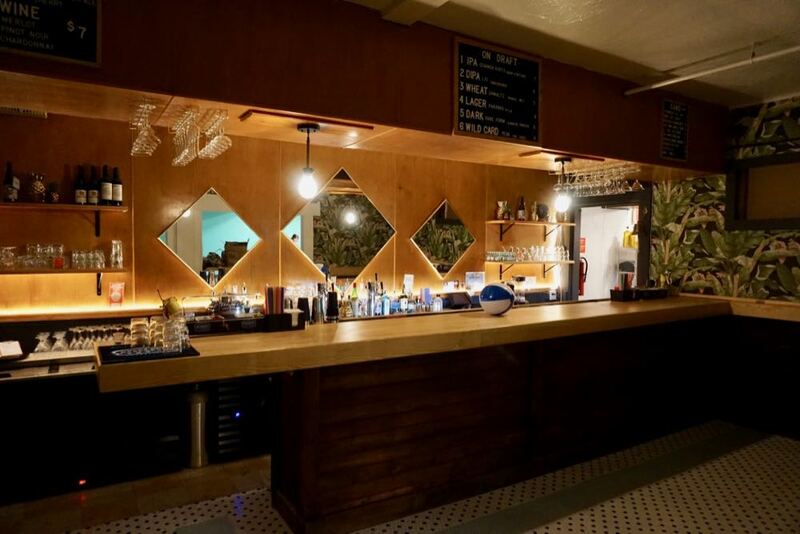 The bar features a lineup of craft beers and Boylan sodas. 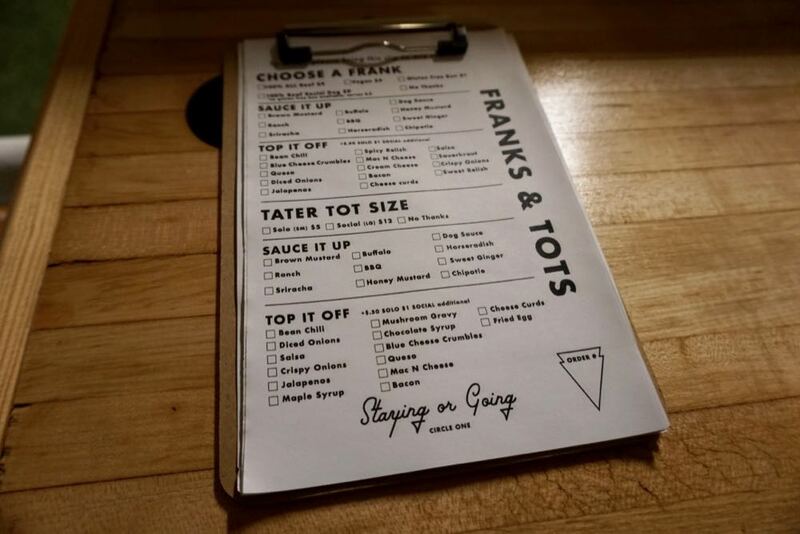 And the food menu is made up of hot dogs and tater tots -- both available with all sorts of toppings. 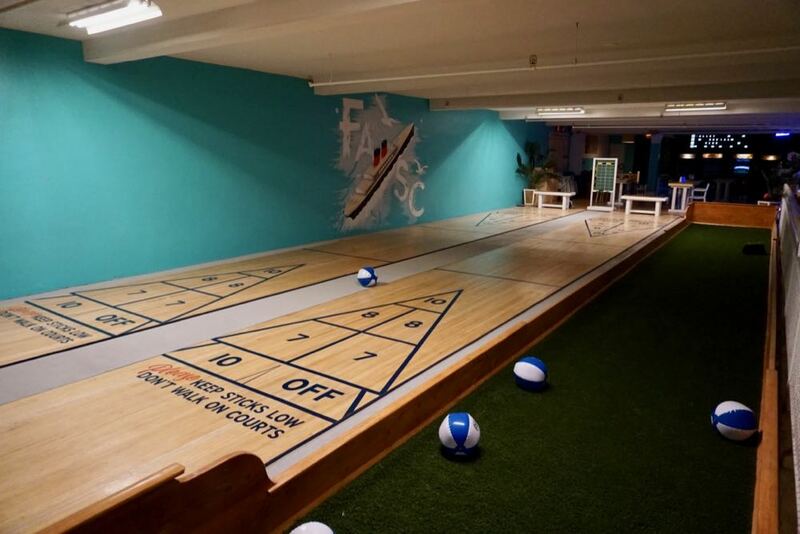 The shuffleboard and bocce courts are available to rent by the hour ($40 per hour). 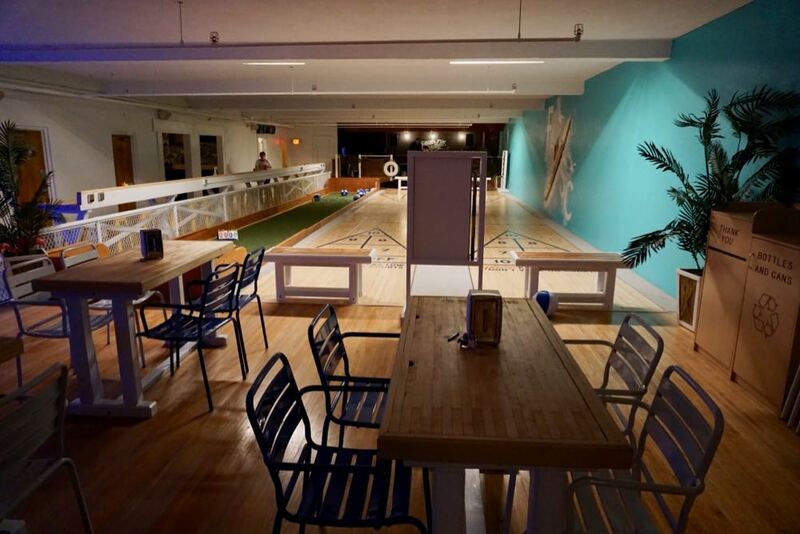 The space had included four old bowling lanes, and the original plan was to restore them. But Frank Sicari said during the renovation process they heard from bowling equipment companies that the old lanes would have to be covered to make new equipment work. 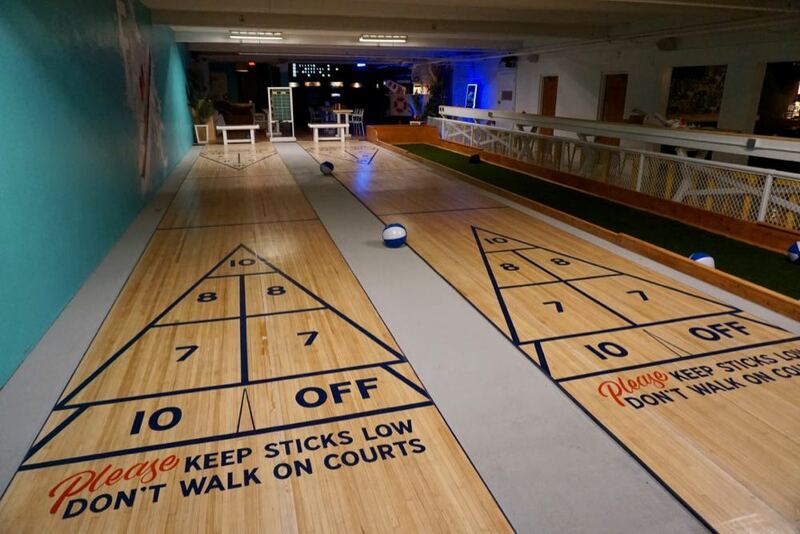 So they saved two of the lanes for the shuffleboard, and re-purposed the wood from the others for various elements of the design. The club is open to the public -- no membership required. But it is offering memberships for a one-time fee of $150. 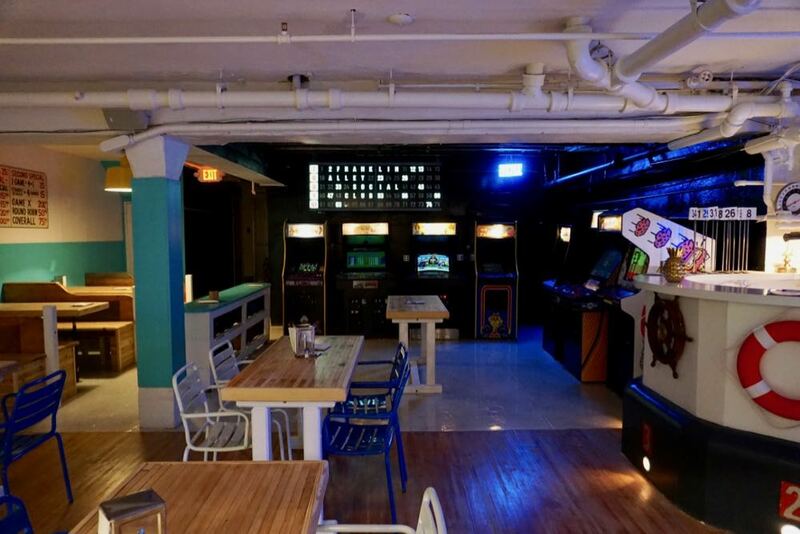 Members get discounts on games and space rentals. Vegan dogs! YEEESSSSSS! Tots too! 2018 is going to be the best year ever!